Provided by the Academy for Continued Healthcare Learning (ACHL). This enduring activity will feature expert faculty, who will review the latest data on parenteral nutrition in pediatric settings. They will examine fish oil as a newly approved intravenous lipid formulation and will discuss the management of complex nutritional problems across the pediatric population. The CME activity is intended for pediatric gastroenterologists, hepatologists, physician nutritionists and pediatric gastroenterology and nutrition nurses. 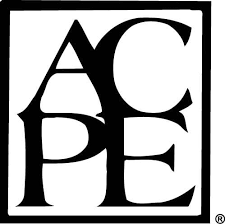 The Academy for Continued Healthcare Learning (ACHL) requires that the faculty participating in a CME/CE/CPE activity disclose all affiliations or other financial relationships (1) with the manufacturers of any commercial product(s) and/or provider(s) of commercial services discussed in an educational presentation and (2) with any commercial supporters of the activity. All conflicts of interest have been resolved prior to this CME/CE/CPE activity. Dr. Corkins has no relationships to disclose. The Academy for Continued Healthcare Learning (ACHL) has been accredited as an Authorized Provider by the International Association for Continuing Education and Training (IACET). In obtaining this accreditation, ACHL has demonstrated that it complies with the ANSI/IACET Standard which is recognized internationally as a standard of good practice. As a result of the Authorized Provider status, ACHL is authorized to offer IACET CEUs for programs that qualify under the ANSI/IACET Standard. ACHL is authorized by IACET to offer 0.10 CEU for this program. IACET CEUs are accepted by the American Nurses Association. Contact your licensing agency for details. The Academy for Continued Healthcare Learning is a Continuing Professional Education (CPE) Accredited Provider with the Commission on Dietetic Registration (CDR). CDR Credentialed Practitioners will receive 1.0 Continuing Professional Education units (CPEUs) for completion of this activities/materials. Level 2. CDR Accredited Provider #AC001. RDs and DTRs may submit additional evaluations of the quality of this program/material at www.cdrnet.org. This CME/CE/CPE activity might describe the off-label, investigational, or experimental use of medications that may exceed their FDA-approved labeling. Physicians should consult the current manufacturers’ prescribing information for these products. ACHL requires the speaker to disclose that a product is not labeled for the use under discussion. The content for this activity was developed independently of the commercial supporter. All materials are included with permission. The opinions expressed are those of the faculty and are not to be construed as those of the grantor. This activity will take approximately 1 hour to complete. To receive credit, participants are required to complete the pre-test, view the activity, and complete the post-test and evaluation. To receive credit, 65% must be achieved on the post-test. A certificate will be immediately available. There is no fee for the generation of the certificate. Your online certificate will be saved on myCME within your Profile/CME History, which you can access at any time. If you have any questions relating to the accreditation of this activity, please call ACHL at (877) 444-8435, ext. 160.